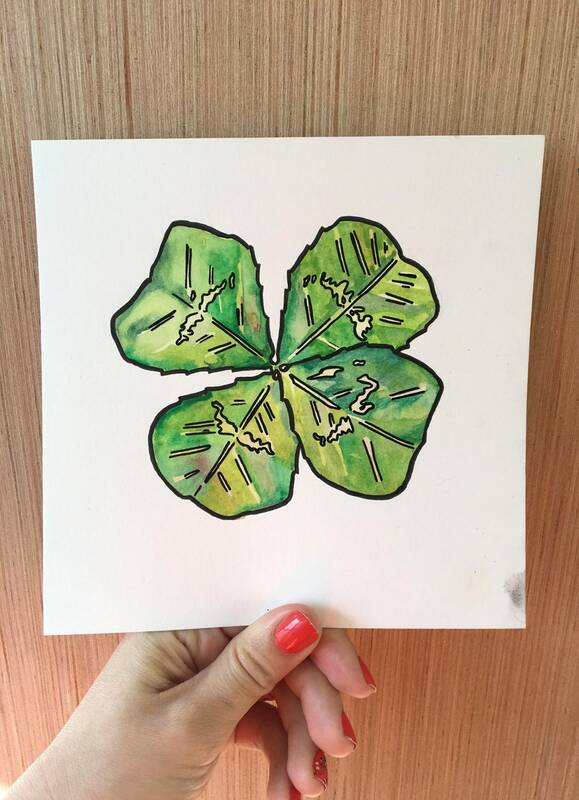 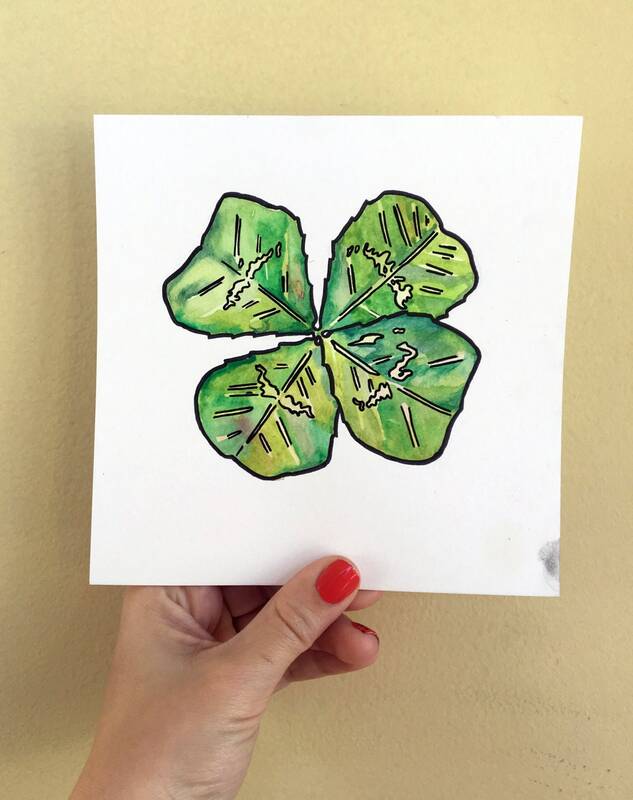 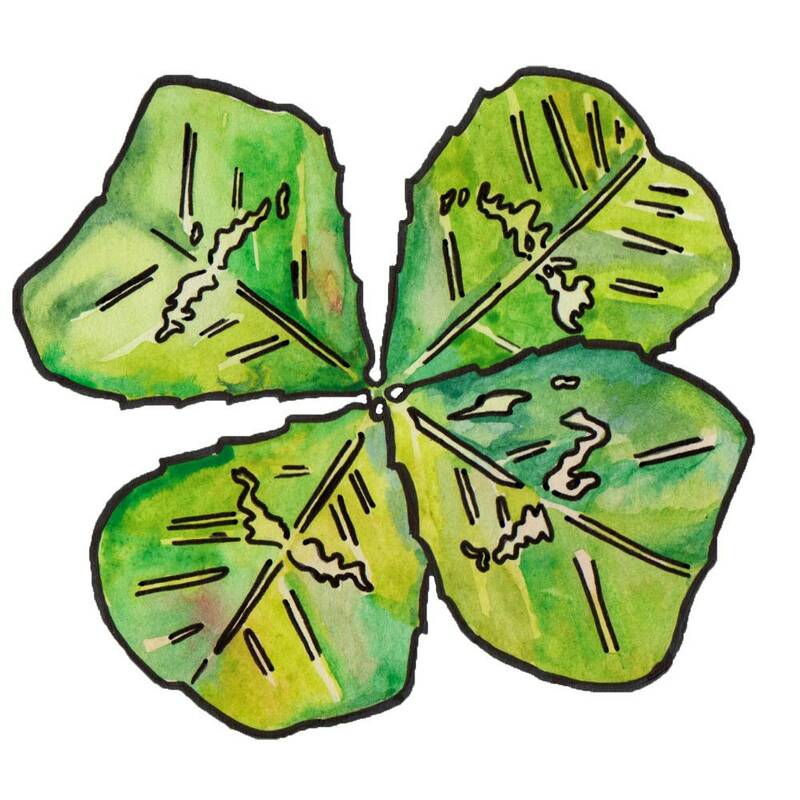 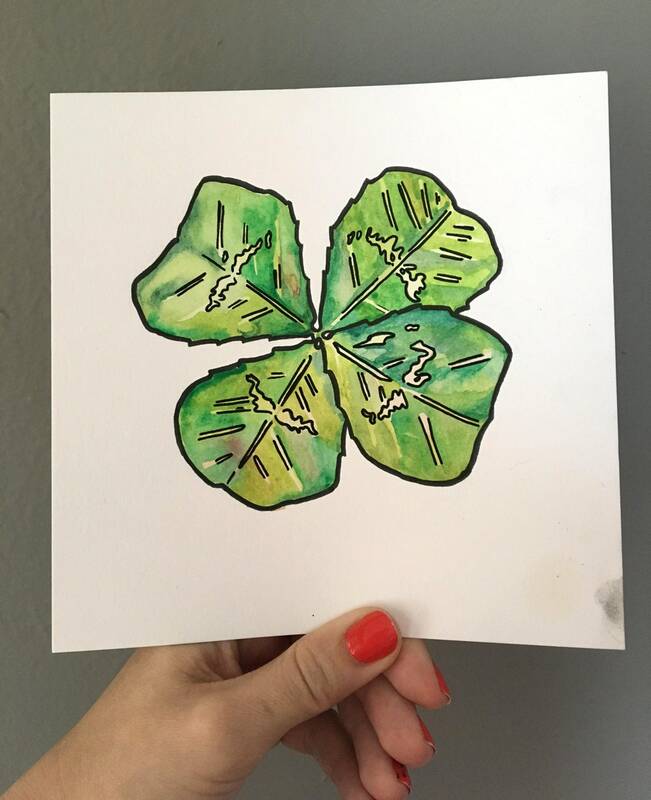 This watercolor and ink illustration is titled "Four Leaf Clover." 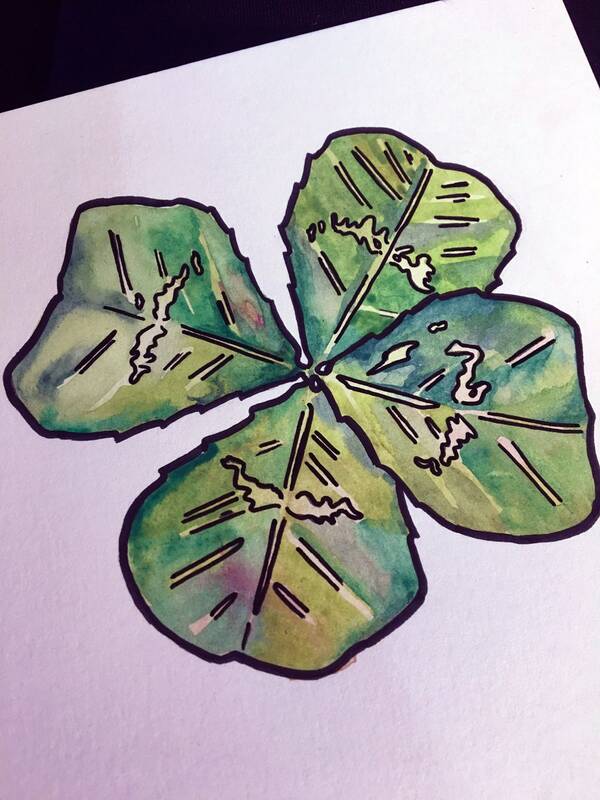 It was hand painted in vibrant, archival watercolors. 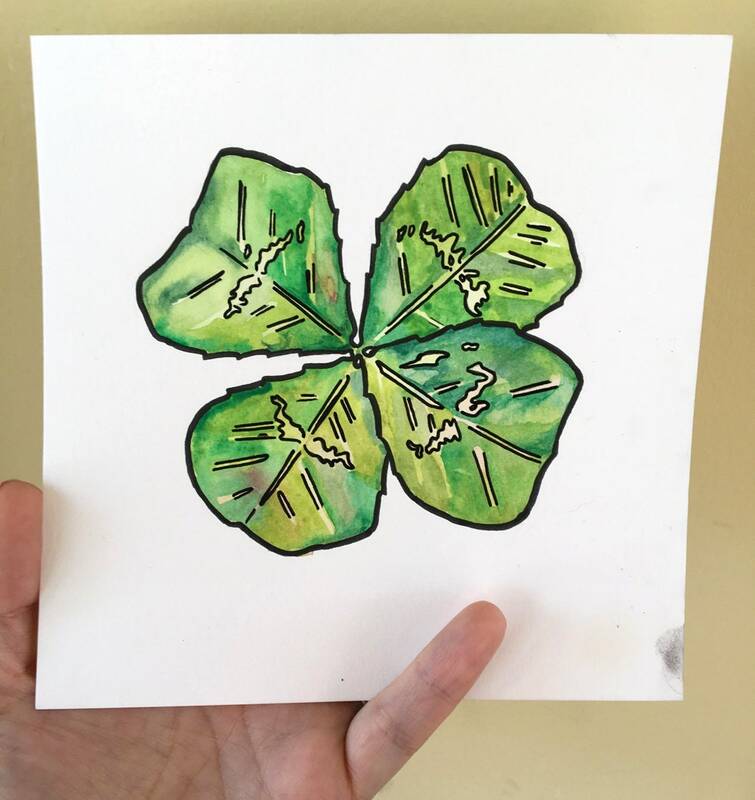 It measures 6 inches by 6 inches (15.3 cm x 15.2 cm).